Getting your website to pull in high-quality traffic is not an easy challenge to conquer. Knowing what brings traffic, and what keeps them engaged is a constant quest for marketing teams across industries. And web analytics shines a light precisely on these questions. A recent study published by Forrester Research found that interactive-marketing spend is increasing at the expense of direct media. Web analytics is more than just installing a script on a website and setting up a monthly report to show the number of visitors on your site. 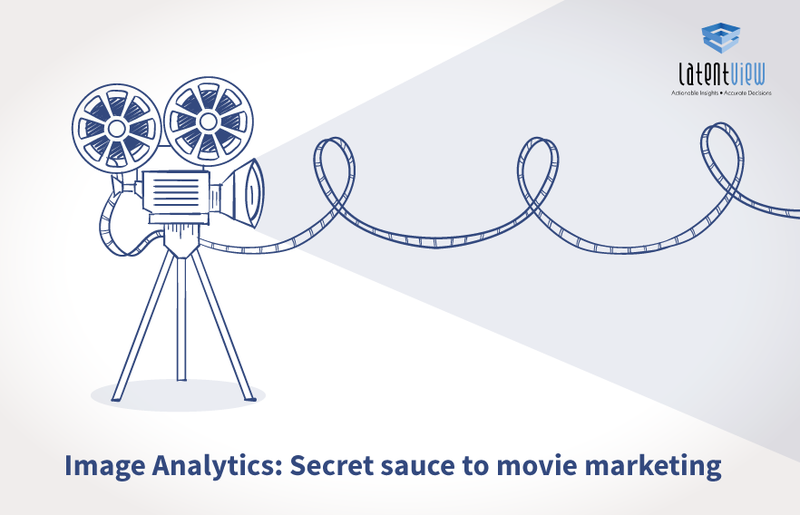 Web analytics requires analysis. The numbers that your analytics tool delivers must be interpreted before they have any real value for making informed decisions. Thorough usage of analytical data provides a much greater understanding of the users on a website. This understanding of users is crucial to developing an online strategy for any website. Whether your goal is to tailor the website to the user’s needs or to get users to change their behavior, what’s important is to know how the users use the website right now. This allows you to optimize your online strategy and define future goals. In enterprises that are digital savvy, web analytics has moved from once-a-month capturing google analytics screenshots to becoming the centre pole of marketing decision making. The reporting and decision making has evolved from hindsight analytics (last month report) to goal-driven analytics (specific metrics measured per campaign) to real-time analytics (to serve personalized content). And the path to unlocking is clearly laid out in this 5 step maturity model. Page views are among the most common and well-known metrics. Anytime a visitor loads a page on a website, it is considered a page view. However, reloads and refreshes can also lead to an increase in page views. Bounce rate is the most commonly used behaviour metric used. It refers to the percentage of sessions where the session ends with only a single page viewed by the visitor. Such a visit is called a bounce. High bounce rate indicates uninteresting content or mistargeted user segments or poor site structure’s inability to engage visitors further. Enrolments/Conversions are the outcome-based metrics. They are decided based on the business requirements and are often the key focus of reporting. These metrics can be segmented based on device, source to understand contributions and this can decide strategy. Demographics are important to understand especially while deciding on paid campaigns. We need to appropriately target users of the right demographic to ensure success in paid banners and paid search. Performance: Organic search is a major driver of traffic for most websites. One of the many factors, used by search engines like Google, for deciding to rank within search results is site performance. It is advised to keep the website small and lean and ensure that it loads quickly. Experimentation is a crucial step in building a successful website and winning landing pages. Any change made to the website can be deployed on an A/B testing process which leads to better results. The process of A/B testing itself involves coming up with a hypothesis, implementation for a short period of time, get field validation and roll out the best performer subsequently. Device Segmentation is gaining significant importance in an era where the mobile is taking centre stage for engagement. User behaviour changes quite significantly based on the type of device being used to engage with a brand. This means that not only should we build our websites to be responsive and mobile-friendly, it also means that we cannot compare metrics like Bounce Rate and Time spent on the page across devices as they will differ based on the type of channel. Analyzing user paths: Often a website receives many types of visitors with different goals and objectives, many of which are not apparent to the developers of the website. Identifying and analyzing the most frequent paths visited by users gives an insight into their intent. This can drive a better understanding of the user’s desires and can lead to the generation of new content or optimization of existing site interface. It is often useful to segment these paths based on Landing Page, Source of the user, device, etc. Reporting Dashboards: There is little value in setting up complex streams for collecting data if this data isn’t easily accessible to business decision makers. 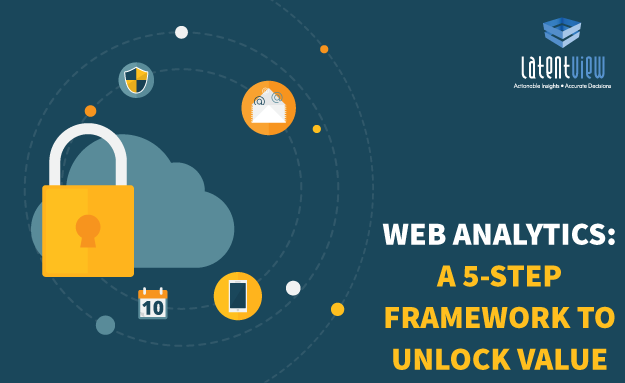 Thus, well-designed dashboards which can present metrics in an intuitive, easy to understand way, is a sign of maturity in leveraging web data. Breakdown of traffic sources: Knowing where the traffic is coming from and analyzing channel wise bounce rates, page duration alongside location and device segmentation provides clarity. Channel Attribution: On the face of it, a particular channel, say organic search, may be bringing in traffic that also converts into a lead. But in the back drop, an FB campaign may have created the first level awareness and led to the downstream organic search of the website. Recognizing that the FB campaign had a positive impact on conversion is an example of accurate channel attribution. Custom goal-driven dashboards: While the standard dashboards offer basic reporting, setting up goal driven custom dashboards is a clear indicator of stage 3 of web analytics maturity. 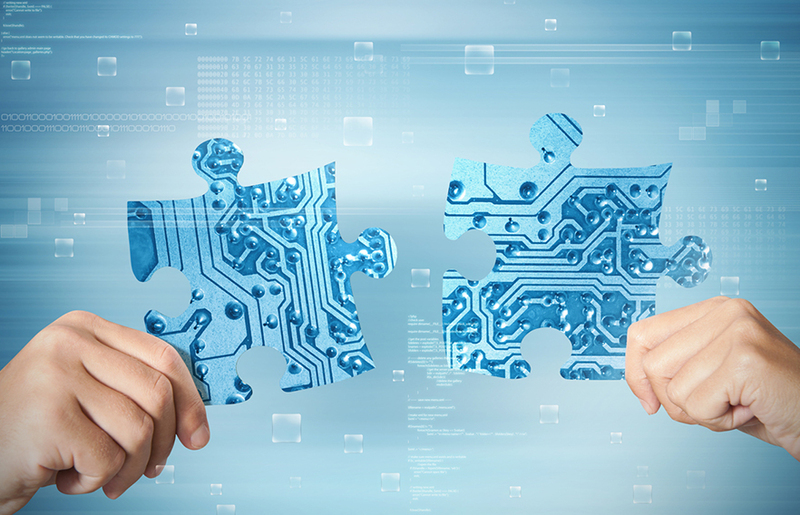 One-to-one marketing is the holy grail of personalized communication that all marketers aspire for. Being able to personalize interactions helps foster greater engagement, loyalty and ultimately better return on marketing investment. It is in this space that technologies such as artificial intelligence and predictive analytics help serve dynamic personalized content, landing pages, and offers. Additionally, businesses can enhance cross-sell, upsell opportunities and make customized offers. Cross-selling identifies products that satisfy additional, complementary needs that are unfulfilled by the original item. For example, a comb could be cross-sold to a customer purchasing a blow dryer. Oftentimes, cross-selling points users to products they would have purchased anyway; by showing them at the right time, a store ensures they make the sale. Upselling often employs comparison charts to market higher-end products to customers. Showing visitors that other versions or models may better fulfil their needs can increase Average Order Value (AOV) and help users walk away more satisfied with their purchase. Companies that excel at upselling are effective at helping customers visualize the value they will get by ordering a higher-priced item. A recent Google research reveals that consumers want more information and customized experiences during their shopping journey. Surprisingly two in three shoppers who tried to find information within a store say they didn’t find what they needed, and 43% of them left frustrated. And 71% of in-store shoppers who use smartphones for online research say their device has become more important to their in-store experience. From providing consumers with local information online before they go to stores to customizing their experiences once they’re in-store, digital presents new opportunities for retailers to connect. Product and Service innovation: An online strategy is most effective when it informs and influences offline sales and research efforts. Any insight about the customer, their goals and preferences that gets passed on to the product and sales team will build a synergy across all levels of the organization. Price Optimization: Price is a critical factor in the customer deciding to buy one’s product. The web is an excellent medium for testing different pricing schemes and then judge their effect on customer loyalty and revenue earned per customer. Initially offering the product at a low price to build a customer relationship and drive engagement is a strategy which can easily be implemented on the web via A/B testing. Portfolio Optimization: There are many channels where businesses can generate leads and drive revenue. Among them are paid banner ads, Paid Search (SEM), Organic Search (SEO), offline advertising, etc. It must also be considered that a user might visit the site via multiple channels before finalizing on a purchase. Thus, there is often an invisible synergy between the various channels. Over-reliance on a few channels is considered a risky proposition and it is recommended to have a healthy balance of paid, organic and offline advertising. Finally, a case study to drive home the impact of web analytics. Obama’s Presidential Campaign 2008: Dan Siroker, the Director of Analytics headed Obama’s campaign team in 2008. This team had in mind a simple experiment which they devised back in December of 2007. The Experiment: The experiment tested two parts of their splash page: The “Media” section at the top and secondly the call-to-action “Button”. They tried four buttons and six different media (three images and three videos) using Google Website Optimizer and ran this as a full-factorial multivariate test. They tested all the combinations of buttons and media against each other at the same time, which means they had 24 (4 x 6) total combinations to test. Every visitor to the splash page was randomly shown one of these combinations. They were tracked to see whether they would sign up or not. Measuring Strategy: The metric they used to measure success was the sign-up rate: The number of people who signed up divided by the number of people who saw that particular variation. Since there was a total of 310,382 visitors to the splash page during the experiment that meant each variation was seen by roughly 13,000 people. Results: “Combination 11”, which had the “learn more” button and a “family” image was found to be the best-performing combination of button and media. This winning combo had a sign-up rate of 11.6%. The original page that was designed had an 8.26% sign-up rate. Looking into all the numbers at the end of the campaign, the researchers found that roughly 10 million people had signed up on the splash page during the campaign. If they hadn’t decided to run this experiment then the number of signups would be only 7,120,000 signups. Profit of $60 million: They also found that sending an email to the people who had signed up on their splash page, asking them to volunteer typically converted 10% of them into volunteers which means an additional 2,880,000 email addresses translated into 288,000 more volunteers. Each email address that was submitted, ended up donating an average of $21 during the length of the campaign. The additional 2,880,000 email addresses on their email list translated into an additional $60 million in donations. 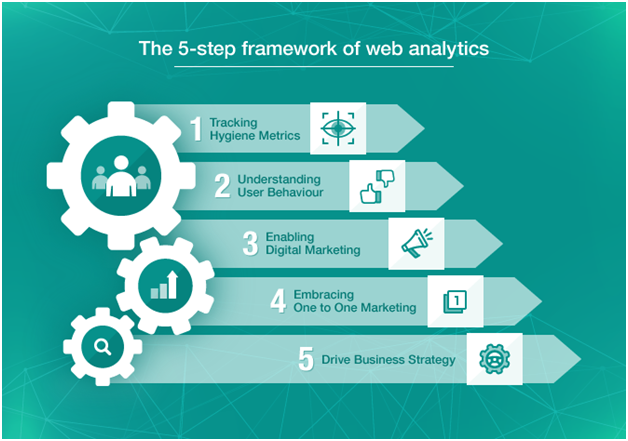 Web analytics is a powerful tool that marketers are leveraging as media shifts from traditional to digital. 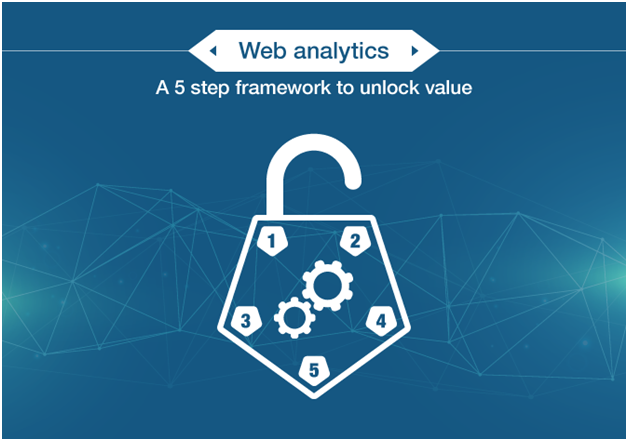 Organizations must look at Web analytics as more than just site metrics; they must find a way to tie Web analytics to key business-performance metrics. As companies expand their digital-marketing spend, optimizing Web-analytics tools is critical to show serious return on investment for that spend.